Grains are one of the most eaten food groups out there. Staple foods like rice, wheat, and corn, are eaten by the majority of the world every day. They are the basic foods that humanitarian aids tend to give out first because a handful of grain can both sustain the people and provide the necessary nutrients. Not all grains are whole, though. Whole grain means that the grain still possesses all of its original parts – the bran, germ, and endosperm. While the endosperm is the largest part of the grain, they all contain a good number of nutrients. When grains are refined like white rice, usually the bran and germ are removed. 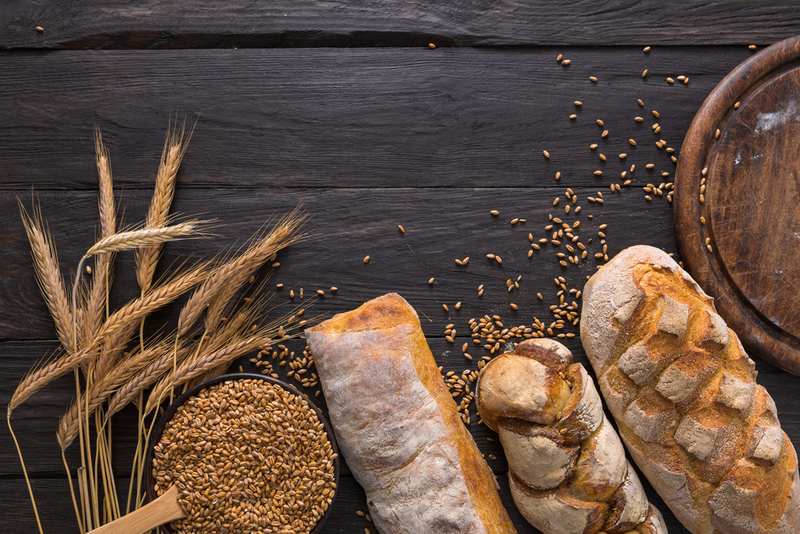 Refined grains lack more than one-quarter of the nutrients found in whole grains. Farmers removed the brand and germ in hope to make them last longer. When they first came out, they caused an outbreak of nutritious diseases. That’s why the enriched grain came to be. Enriched grain is an attempt to insert back into the grains lost in the refinement stage. However, enrichment only regains a few nutrients. The best option is to eat whole grains. When taking in at least three servings of whole grains per day, they can decrease the risks of many chronic diseases. They reduce the risk of heart diseases while their antioxidants help fight cancer. Most of them are also gluten-free, so there’s no reason to avoid them. If you’re trying to include more whole grains in your plate, here’s a list of the most nutritious ones available. Brown rice is one of the healthiest whole grains out there. It has five grams of protein per cup. It contains 75% more nutrients than white rice. It has one of the healthiest levels of branched amino acids which means it has a large amount of valine and leucine. Unlike white rice, brown rice contains a lot of antioxidants, magnesium, phosphorus, and vitamin B. It may not always taste as good as white rice, but it has a better aroma. Brown rice usually smells like either basmati or jasmine. It’s available everywhere and at a low price just like white rice. Freekeh is a type of cereal food. It’s an Arabic grain that is like wheat. The kernels are harvested while it’s still young, then it’s roasted. It is a low-carb food but has more protein and fiber than wheat and brown rice. It has about six grams of protein per quarter of cup which is even higher than the amount found in brown rice. It helps in digestion by acting as a prebiotic in your stomach, stimulating the growth of good bacteria. Its antioxidants support better vision health. It also has a lot of vitamins, minerals, and immune-boosting selenium. 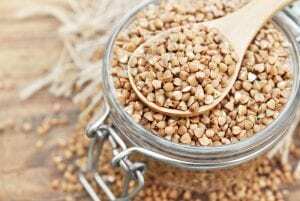 Buckwheat be both a seed and a grain. However, it’s usually cooked and eaten as a grain. It’s gluten-free, so almost everyone can eat it. It contains easily-digested and bioavailable protein to facilitate absorption. The body soaks up its nutrients rapidly. It’s an excellent source of magnesium which can help to boost up brain power. It also has magnesium and many other minerals. You can even grind it and try it as pancake. Oats come either as the old-fashion form or in steel-cut. The steel-cut oats are the less processed option. They are simply cut into three pieces. The old-fashioned or rolled oats version are steamed, then flattened out. They are both full of avenanthramide which is an antioxidant that helps to protect the heart. They serve as an excellent breakfast. Any product made with oat is whole and is a healthier choice than most others. However, try not to grab the instant oatmeal option. They have high fructose corn syrup which you don’t want in your diet. Oats have no sodium and take in the flavor of whatever spice you decide to add. 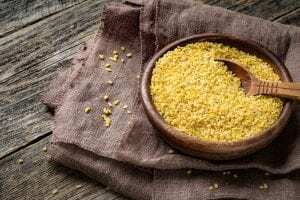 Quinoa is a South American powerhouse grain. Although it is sometimes described as a seed, it has all the benefits of whole grains. Actually, it has more nutrients than some other whole grains. It’s considered to be a complete protein. It has all nine essential amino acids. It has a variety of colors and is cooked very quickly. It has a light nutty flavor with a subtle chewiness. It’s a total change and absolute winner at the dinner table. Bulgur is a Middle Eastern staple food. It’s the key ingredient to make tabbouleh salad. It has a similar texture to wheat. It cooks quickly like quinoa. Each cup contains 75% of the dietary fiber needed daily. It’s more than most other whole grains have. Each cup also contains about 25% of the necessary value of protein per day. Although part of its bran may be removed in processing, it’s still considered as a whole grain. Farro has a sweet taste and a chewy texture. It’s a type of wheat. Its texture and appearance are similar to wheat, but it tastes like wheat berries. It’s used in many protein bars. It has a good amount of protein and fiber that helps a post-workout recovery meal. It has magnesium to support bone and muscle function. It has vitamin B3 to help the body break down carbs, fats, and protein. Corn has sometimes deemed a vegetable, but it’s actually a whole grain. Its product, high fructose corn syrup, is one of the unhealthiest nutrients out there, but the grain itself is pretty healthy. It’s a good source of antioxidants, vitamins B, magnesium, and phosphorous. Surprisingly, it comes in an assortment of colors. You can find corn as white, yellow, and blue. Obviously yellow is the most popular option. Blue corn is mainly found in Mexico. Corn can help to fight diabetes, chronic inflammation and heart disease by increasing healthy gut flora. You can eat either on the cob or as popcorn. Try not to reach for the readymade popcorns with too much butter. It’s better to simply by the corn and put them on the stove. Whole grains are not that difficult to find. They are full of nutrients, and most are as cheap as another type of grains. They are the easy options to start off a healthy diet.